Benchmark Accuris Hot Start Taq is engineered for controlled polymerase activity. This achieved through the design of Benchmark Accuris Hot Start Taq to be bound with a monoclonal antibody that blocks enzyme activity. This allows polymerase reactions to be set up at room temperature without the risk of non-specific amplification. Exceptional sensitivity for low copy PCR. 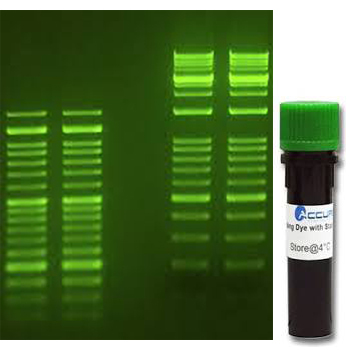 Ideal for multiplex PCR and amplification of GC-rich and AT-rich DNA sequences. Same enhanced features as Accuris Taq Polymerase. Buffer optimized for fast cycling and reproducibility. Performs across a wide range of DNA templates including genomic DNA. Proprietary 5X reaction buffer includes enhancers for maximizing enzyme activity and reaction speed. Improved solubility and template affinity. Master Mixes are PCR Reagents that contain all the necessary composites to create the perfects reaction mixer for optimal polymerase chain reaction. 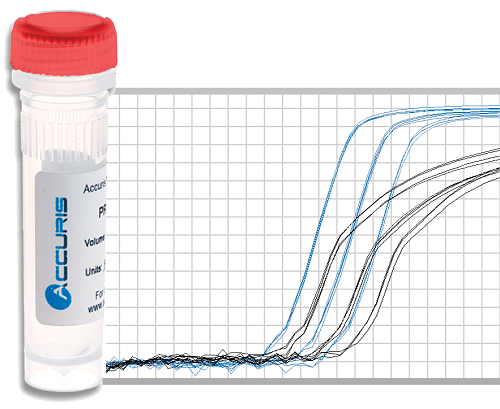 Accurus carry a range of qMAX qPCR reagents, each specifically designed to meet a variety of different applications and requirements. All of these reagents are ultra-sensitive and are designed to provide you with the most efficient and accurate solutions to give you the reliability your science demands. Performance, convenience and reliability are standards that Accuris strive to provide in every product. Same high efficiency for multiplex and singleplex reactions. Includes Accuris Hot Start Taq Polymerase for greater specificity and accuracy. Compatible with popular hydrolysis and beacon probes. Ready to use 2x master mix. Early Ct values and detection across a broad dynamic range. SmartCheck DNA Ladders from Benchmark Accuris are produced from proprietary plasmids, digested to completion and purified in a multi-step chromatography process. SmartCheck DNA Ladders from Benchmark Accuris are supplied in a ready-to-use format that includes loading buffer and tracking dyes. Benchmark Accuris Taq DNA Polymerase provides superior results for routine applications. Modified to improve DNA-binding, Benchmark Accuris Taq DNA Polymerase offers higher solubility and template affinity, resulting in consistently superior performance. Engineered for controlled polymerase activity, Benchmark Accuris Hot Start Taq is bound with a monoclonal antibody that blocks enzyme activity. Exceptional sensitivity for low copy PCR. Check out the Benchmark Accuris Hot Start Taq here. Benchmark Accuris qMAX Green qPCR Master Mix is supplied as a ready to use 2X master mix, qMax Green has been engineered for high sensitivity, fast cycling and excellent reproducibility. Benchmark Accuris Taq Plus DNA Polymerase is an optimized blend of Hot Start Taq & proofreading polymerase with up to 5 x better fidelity than standard Taq & increased enzyme activity. Find out more about the Benchmark Accuris Taq Plus DNA Polymerase here. Optimized for use with TaqMan, Scorpions and molecular beacon probes, Benchmark Accuris qMAX Probe qPCR Master Mix is a ready-to-use formulation for real time quantitative pcr assays. 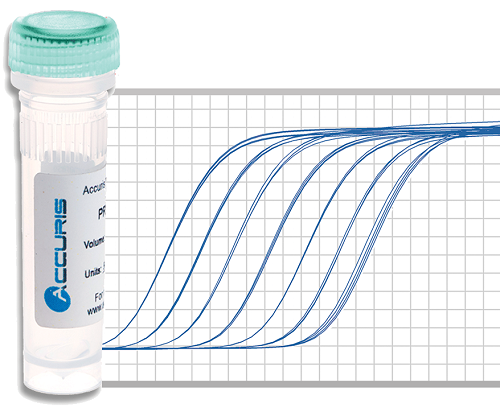 For applications requiring highly accurate amplification, choose Accuris High Fidelity DNA Polymerase. Modified for better sensitivity and higher activity for more reproducible performance, this polymerase will amplify a wide range of targets. The Benchmark Accuris 1 Hour Mammalian Genotyping Kit is quick and easy to use. 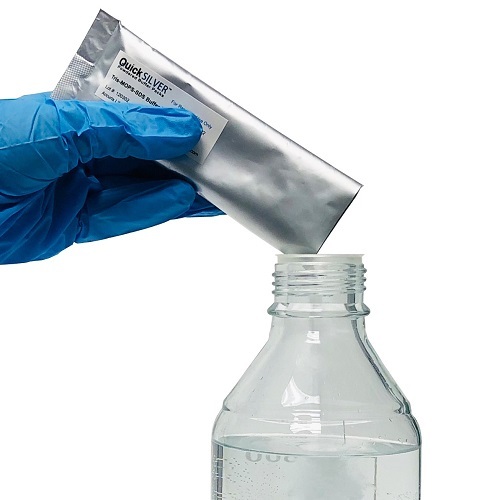 Benchmark Accuris 1 Hour Mammalian Genotyping Kit provides DNA extraction and amplification in just one hour with no organic solvents or clean up procedures. Benchmark Accuris qMax cDNA Synthesis Kit now comes in two different cDNA synthesis kits to meet a range of requirements. Benchmark Accuris qMax cDNA Synthesis Kit comes in an original cDNA Synthesis Kit or a new First Strand cDNA Synthesis Flex Kit.